The Little Fuzzy Drive is temporarily out of stock. Order today and Phantom48 will normally ship in about No business days. 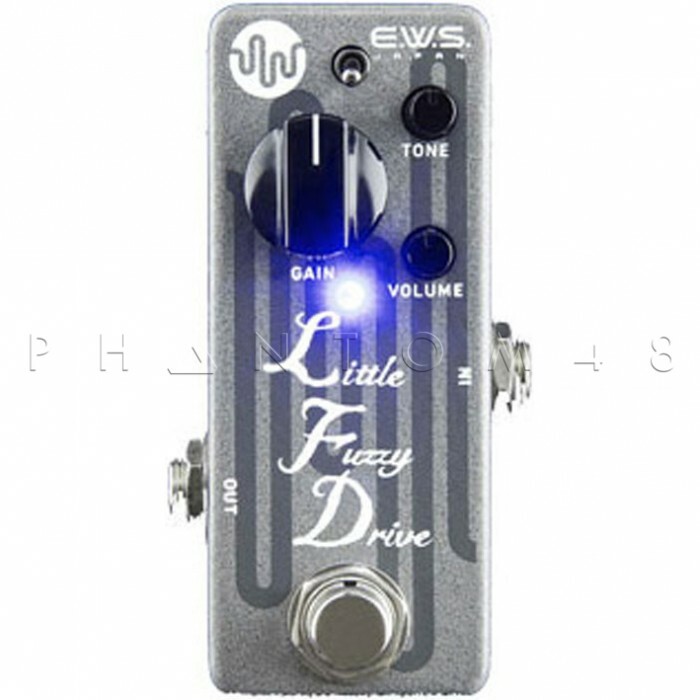 The Little Fuzzy Drive is designed to provide sounds based on retro fuzz tones, but with modern controllability and stability resulting in a rich variety of tones. For amplifying element, instead of the rare germanium transistor, we used the circuitry with operational amplifier. This enabled us to overcome the known unstable characteristics of the germanium transistor caused by its individual difference and temperature shift. The Toggle Switch allows you to choose between Fuzzy Drive and Fat Fuzzy modes. 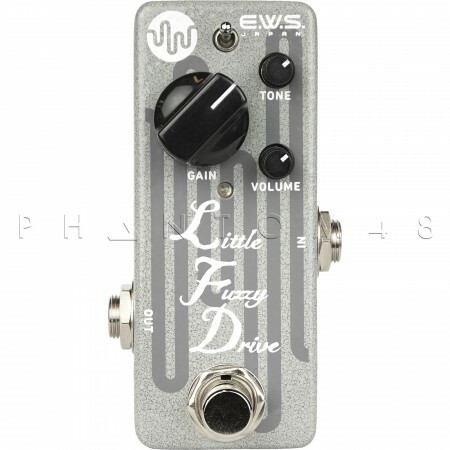 Fuzzy Drive mode is similar to its predecessor, the Fuzzy Drive, providing relatively tight tone design, but with high gain and deeper distortion. Fat Fuzz mode has thicker sound with a mid range boost, allowing for even more gain. 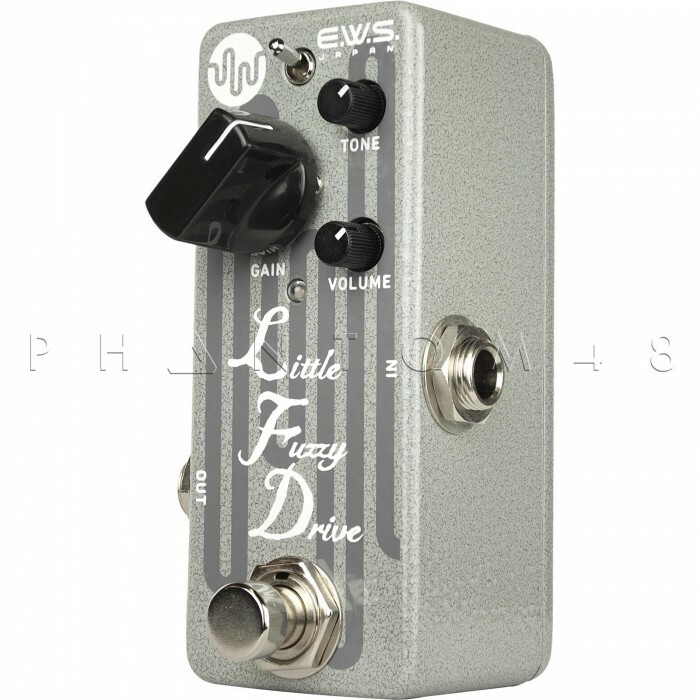 Just like the Fuzzy Drive, the Little Fuzzy Drive is very sensitive to the dynamics of picking and use of the guitar's volume control. If the incoming signal is low, there will be less distortion. If the signal is high you'll add more gain and distortion. With all of the rich functions the Little Fuzzy Drive provides, we still left enough room for a 9V battery. However, you can use external power source. We recommend using regulated center-negative 9VDC.